Editor’s Note: Citing a “miscommunication” by its executive director, the American Board of Orthopaedic Surgery said after publication of this story that the group had not decided to use Surgeon Scorecard in its credentials process. A follow-up story is here. The board that certifies orthopedic specialists will use ProPublica’s Surgeon Scorecard to help assess the competency of its surgeons, the organization’s top administrator said today. The American Board of Orthopaedic Surgery will incorporate Scorecard’s ratings into its recertification process, in which surgeons are formally re-evaluated every 10 years, Executive Director Dr. Shepard Hurwitz said. Surgeons may also be put on a watch list based on their Scorecard rating, he said. Action won’t be taken based on a surgeon’s performance in ProPublica’s analysis alone, Hurwitz said. “But that, in concert with other quality issues, could lead us to delay their recertification or require them to explain to us why they are having this high problem rate,” he said. The board, which has certified about 28,000 orthopedic surgeons, is the first medical specialty to formally embrace the findings of Surgeon Scorecard, which reports patient deaths and surgical complication rates for more than 16,000 surgeons on eight common operations based on Medicare data. Board certification is a key credential for surgeons and other specialists. Many hospitals and insurance plans require affiliated doctors to be board certified, and it’s a key indicator of credibility for patients. In the recertification process, surgeons take exams and the board reviews reports by peers and patients as well as any criminal convictions or disciplinary actions by state medical regulators. Surgeons are required to report how their patients fared, but the information is not audited, Hurwitz said. “Adding (ProPublica’s) outcomes gets a lot closer to evidence of performance in practice compared to what we’ve been doing,” Hurwitz said. Hurwitz said he discussed using Scorecard to help vet surgeons with board members and then decided to move forward with it. There was no formal board consideration or vote, he said. 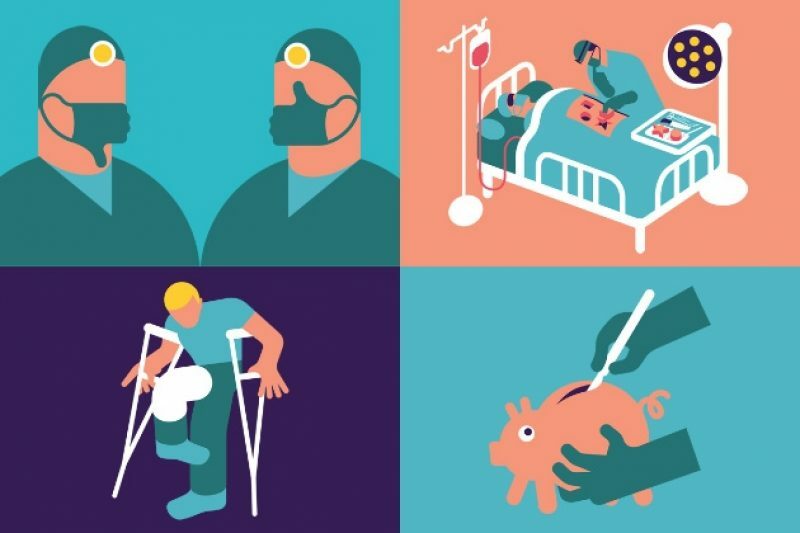 ProPublica’s analysis showed that some surgeons’ patients suffered complications like death in the hospital, infection or blood clots at a rate much higher than their peers. The complication rates are statistically adjusted to account for the complexity of each surgeon’s patients and other factors. Since its introduction in July, Surgeon Scorecard has been controversial, with some experts questioning its reliability and others lauding it as the first tool of its kind to help patients find a surgeon. About 11,500 orthopedic surgeons are rated on complications following hip and knee replacements and three types of spinal fusion. Hurwitz acknowledged that the decision to rely on the Scorecard is controversial. Other specialty boards contacted Tuesday for comment did not immediately respond. Many specialty boards also lack objective data about surgeon performance and don’t have the resources to analyze complications, he said. “Ultimately, outcomes are what people care about the most,” Wachter said. Correction, Oct. 13, 2015: This story has been updated to clarify that the American Board of Orthopaedic Surgery board of directors did not have a formal discussion or vote on the decision to use the Surgeon Scorecard when certifying or re-certifying doctors. The decision to do so was made by the board’s executive director, Dr. Shepard Hurwitz, who discussed it with some members of the group’s board of directors. The spelling of Hurwitz’s first name also has been corrected.